John has worked for CVCT since 1978. He has been in tens of thousands of homes and supervised the measuring and installation of more countertops than anyone in Cache Valley. His wealth of knowledge and experience are unmatched. John is the one you want in your home if you are considering a remodel. 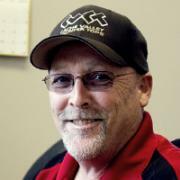 He handles most of our in-home estimates, consultations, and measures. Nobody has more experience than John Pitcher. Nobody. Seriously. Call us and find out for yourself. He is the master Yoda of countertops! ​Nancy started working for CVCT in 2014. She is often the first person you enounter when you call or visit our showroom. Nancy keeps the office organized and everybody on task. She does everything a secretary could possibly do in a small business. Some of her titles could be: office manager, secretary, accountant, salesperson, executive secretary, receptionist, and any other office position you can think of. 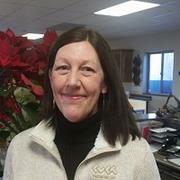 Nancy has an extensive background in customer service and is a wonderful addition to our team. ​Ask Paul what he does and he will tell you his job is to make everybody else’s job easier! Seriously. 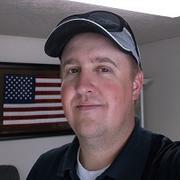 Paul started working for his dad at CVCT as a teenager and bought CVCT in 2006. Yes, he owns the business. But don’t tell anyone. He doesn’t like being treated like anybody other than another one of the crew. You can usually find him around the showroom helping with sales, managing projects, paying bills, or taking out the trash. His KIDS are also an important part of keeping CVCT clean and tidy.